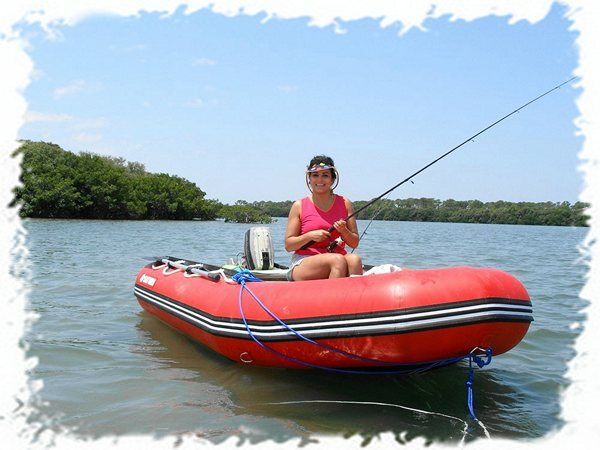 Why choose inflatable boat from BoatsToGo? HomeBoatsToGo - Blog About Inflatable Boats, Inflatable Rafts, Inflatable Kayaks And More...Why choose inflatable boat from BoatsToGo? Nothing compares to a day relaxing on the water. We love fishing and spending time on the open seas, but we were always guests on our friend's boats, until we decided to get our own. Finding the perfect boat for a good price was the hardest part. We searched and searched, and couldn't find a boat that fit our price range and our needs. We heard from a friend about the inflatable Saturn motor boat from BoatsToGo. With his recommendation we decided to go to BoatsToGo. After seeing the inflatable boat in action at BoatsToGo, we were hooked. The pump made it so easy to inflate and assemble. In 15 minutes flat, the boat was filled with air and we could be on our way. This is something we really liked, as we are incredibly low maintenance. The inflatable boat fit perfectly in the trunk of the mini-van. We took it to the dock, and once we got in, we knew that the Saturn inflatable boat was the perfect vehicle to let us explore the waters of (the Atlantic Ocean). Our first time in the boat happened to coincide with our 30th wedding anniversary. The attachable motor gave us the speed to get away from the troubles of the land (our kids!) and start our day of fishing and diving immediately. When we got to a desirable spot, we perched and spent some time fishing. We cut out the motor so we didn’t scare the fish and after three hours without a single tug on the line, we decided to paddle to a nearby island so we could park the boat and do some scuba diving. The versatility of the Saturn inflatable boat is another reason why we decided to buy it. We used the motor to get out to the deep seas in a hurry, and simply turned it off and pulled out the paddles for a more intimate session with the water. Paddling does require a little extra arm strength, but it’s good to have everything you need in one boat. And not to mention the fact that the boat has space for it all— we could fit our paddles, our life vests, fishing poles and our picnic basket without a problem. All in all, our anniversary went well, we didn’t catch any fish, but we did use an inflatable boat that has now become an important part of our water-bonding adventures. We take the inflatable boat on the canals, in the ocean and in the lakes at least once a week now. We are so glad that we purchased the Saturn inflatable boat; because it’s everything we need to for our aquatic exploration. The only regret— my wife wishes we would have got one sooner!